A Harrogate courier company is heading down the road to further growth following a record breaking 12 months. Financial director Andrew Dennis said: “2018 has been a phenomenal year for us and we are predicting 2019 will be just as good, if not better. “Our sales last year grew by 15 per cent and, to cope with this rise in demand for our services, we have taken on more drivers and purchased more vehicles. “Our 17 vehicles will soon become 19 and we are currently in the process of applying for an HGH operator’s licence. This will allow us to compete with larger courier and logistics companies. 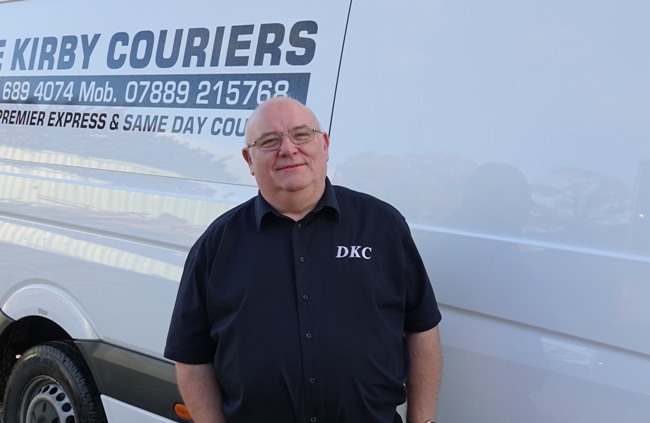 Mr Dennis, who joined the company in 2017, added: “Last year saw us install a state-of-the-art tracking system on all our vehicles as well as investing in our back-office function IT. “Unlike some we are looking forward to the challenges that this year will no doubt bring. Over the last four years we have grown organically and are predicting it will be the same this year.